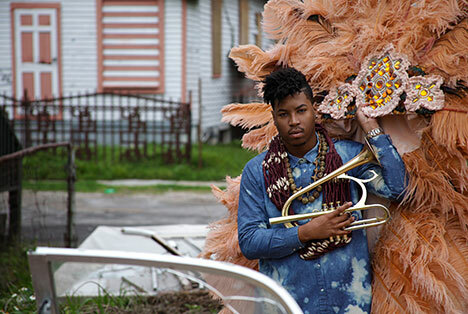 Christian Scott is among the headliners for the 11th annual Port-au-Prince Jazz Festival, which takes place in Haiti March 4–11. Now in its 11th year, the Port au Prince International Jazz Festival (PAPJazz Fest) forges ahead as planned, in spite of having weathered yet another storm in the form of Hurricane Matthew last fall. Presenting artists from 13 different countries over eight days, this latest edition, which runs from March 4–11, will give thousands of festival goers its most eclectic and diverse lineup to date. Each stage and venue tells a story of Haiti’s rich and historic past. The Sugar Cane Historical Park (“Parc Historique de la Canne à Sucre”), for example, is a reminder of Haiti’s once thriving economy. Sugar cane was a cash crop for much of the Caribbean, dating as far back as the 17th century. At The Sugar Cane Historical Park, PAPJazz kicks off with two young vocalists on the rise and a prolific jazz pianist/composer. The night begins with Canadian singer Carol Welsman, winner of six Juno awards. It continues with an inspired collaboration between vocalist Sarah Elizabeth Charles and trumpeter Christian Scott aTunde Adjuah, who co-produced Charles’ critically-acclaimed 2015 release, Inner Dialogue (Truth Revolution Records). The festival’s opening night comes to a close with Danilo Pérez. In addition to a vast performance resume, which includes a longtime collaboration with Wayne Shorter, Pérez is also the founder and artistic director of the Panama Jazz Festival, which wrapped up its 14th year just last month. Also in this year’s program: Cuban-born pianist Gonzálo Rubalcaba, featuring his Volcàn Trio; Chilean saxophonist Melissa Aldana, who made history in 2013 as the first female and South American to win the Thelonious Monk Competition; and French violinist Didier Lockwood. Closing out this year’s festival, Lockwood has become known for his virtuosity and versatility during his more than 50 years in music. Just six miles away from the park, Quartier Latin in Petionville is a lush outdoor nightclub and restaurant that lends its relaxed and laid-back vibe to any jam session. This year, it will host two of the festival’s after-hours sessions: pianist Mike del Ferro from the Netherlands on March 4, and Haiti’s premier DJ Gardy Girault, a pioneer in combining electronic and techno with Haitian kompa and rara music, on March 10. Much of the festival’s program offers attendees a rare look at some of Haiti’s up-and-coming artists, including Haitian-American singer Vanessa Jacquemin, guitarist Smith Emmanuel, the ensemble SMS Kreyol and Haitian-American singer Malou Beauvoir together with another legend, Port au Prince’s own James Germain. Each year, PAPJazz also offers masterclasses and workshops, hosted by select artists from this year’s program—Weisman, Aldana, Mexican guitarist Paco Renteria, and French drummer Anne Paceo, among others. On March 3, Pérez will host the first masterclass of the series, before PAPJazz officially kicks off the following evening.